Gerber, one of the biggest names in the baby food business, is being sued for deceptive advertising for claiming that one of its baby formula brands would prevent or reduce the risk of allergies when it had no scientific evidence to support that, the Federal Trade Commission said Thursday. 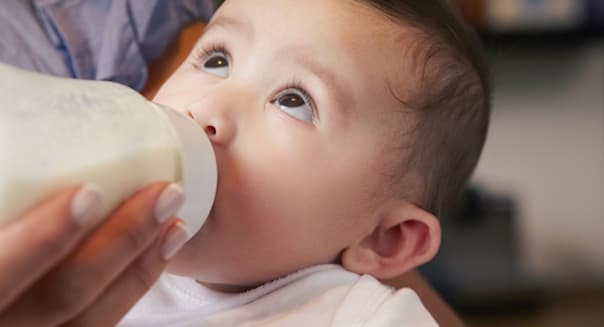 Gerber Products Co., a division of Nestle (NSRGY), was charged by the FTC with falsely claiming the FDA had approved it to tout the alleged allergy-related benefits of its Good Start Gentle infant formula. The FTC lawsuit seeks a court order prohibiting Gerber from making such claims. "Parents trusted Gerber to tell the truth about the health benefits of its formula, and the company's ads failed to live up to that trust," Jessica Rich, director of the FTC's Bureau of Consumer Protection, said in a statement. "Gerber didn't have evidence to back up its claim that Good Start Gentle formula reduces the risk of babies developing their parents' allergies." Gerber said it didn't violate the law. "We believe we have met, and will continue to meet, all legal requirements to make these product claims," Kevin Goldberg, vice president and general counsel for the New Jersey-based company, told The Associated Press. "According to the complaint, it's possible that at some point the FTC will ask the court to require that Gerber issue consumer refunds," the reported. "You want your baby to have your imagination ... Your smile ... Your eyes ... Not your allergies." "First and only routine formula to reduce the risk of developing allergies." Gerber, the FTC alleges, has no scientific evidence to support the claims. That violates federal laws regulating product claims, according to the agency. Another violation, the FTC said, is the claim Good Start Gentle is the "first and only" formula that "meets FDA qualified health claim." The FTC said the FDA approved the use of a claim regarding one infant allergy -- atopic dermatitis. And even that, the FTC said, was with the caveat that, wherever Gerber made the claim, it had to include a statement there was "little scientific evidence" to support it. Gerber has not included that qualifier on its Good Start Gentle packages.